Click on Heritage Icon for more information. The best kept secret in the Dakotas & Montana! 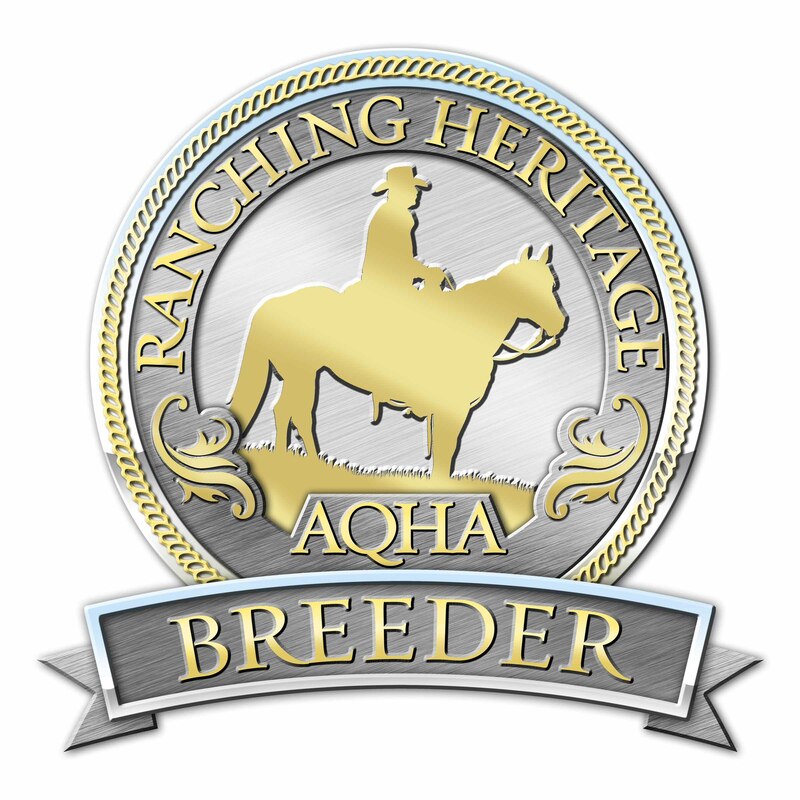 Over 50 years of breeding in our horses. We enjoy our horses and strive to make them nice to look at while they are being used. We work cattle the old fashioned way-by dragging them to the fire. Our horses are not strangers to the chores that a ranch requires. It won't matter if you are looking to check those pesky yearlings that refuse to stay in or wanting to stretch that corner fence that won't stay tight; we have a horse bred to take care of you. 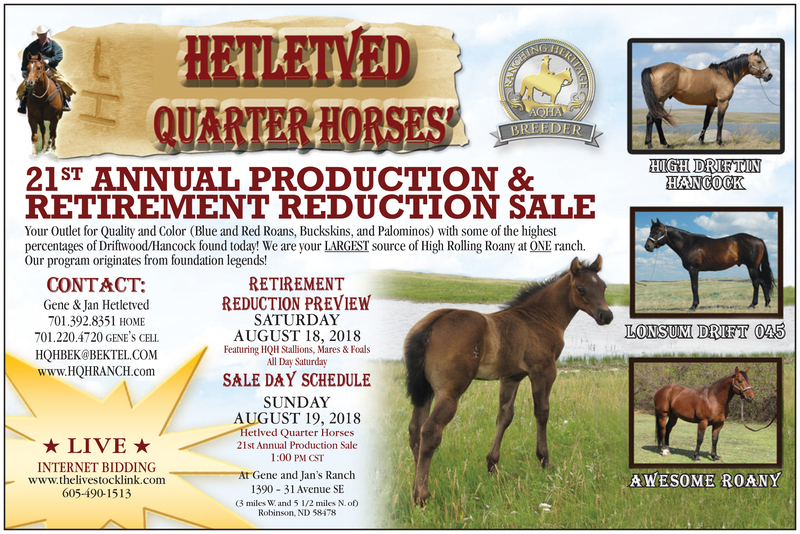 Whether you are interested in ranch, performance or show, we invite you to stop in and take a look at our horses. Your Outlet for Quality Blue and Red Roans! along with a few palominos, grays, blacks, red duns, chestnuts and sorrels.